Promotional value expires 120 days after purchase. Amount paid never expires. Limit 1 per person, may buy 1 additional as gift(s). Limit 1 per visit. Limit 1 per table. Merchant is solely responsible to purchasers for the care and quality of the advertised goods and services. Within the brick and stone confines of La Bella Napoli Pizzeria, chefs recreate the tastes of Naples in a setting that appears plucked from the Italian city itself. 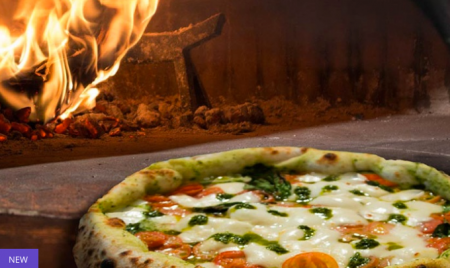 The heart of the restaurant is the authentic brick wood-fire pizza oven, which turns out pies that are thin, crispy, and topped with everything from from imported tomatoes and mozzarella to a house-made pesto sauces. In addition to the extensive menu of specialty pizzas, the restaurant also specializes in traditional pastas and entrees such as veal marsala and penne puttanesca.